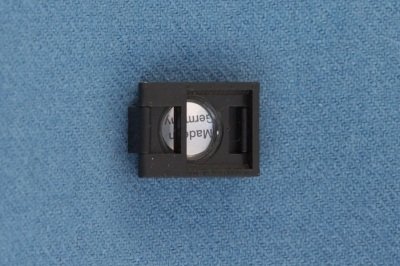 Thread Counters are small magnifying glasses in a foldable holder with fixed distance to the surface. They are extremely useful for counting out the number of threads per centimetre in a fabric or for determining the spinning angle in a yarn. 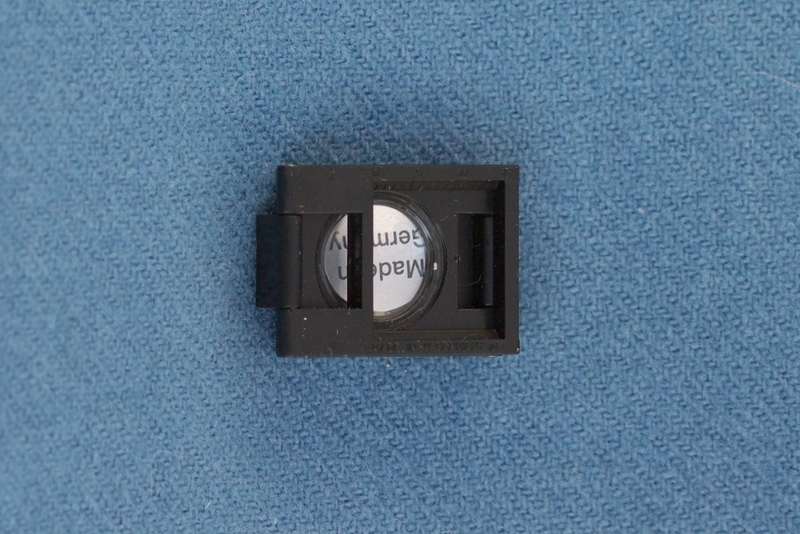 This small, light-weight thread counter is made from plastic and has a high-quality PXM lens with 14 mm diameter and 40 dpt - that means a ten-fold magnification. 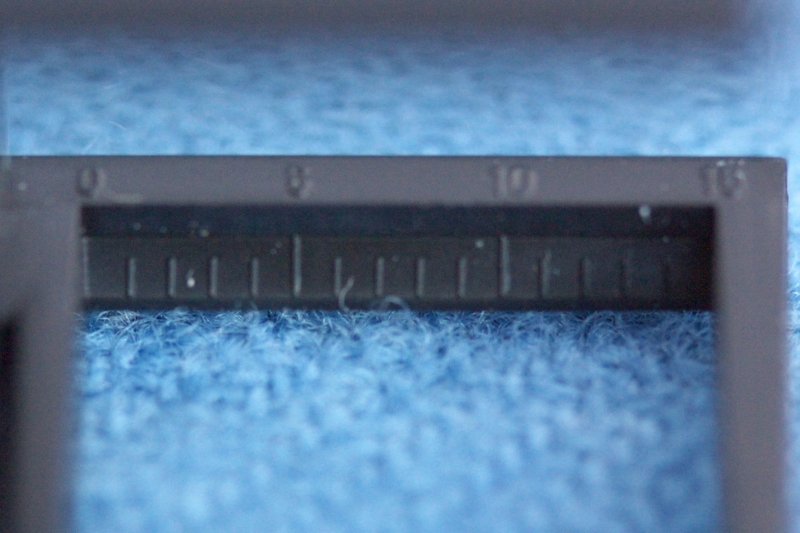 The cutout in the foot of the counter measures 15 x 15 mm and has a scale with mm on one of the edges. 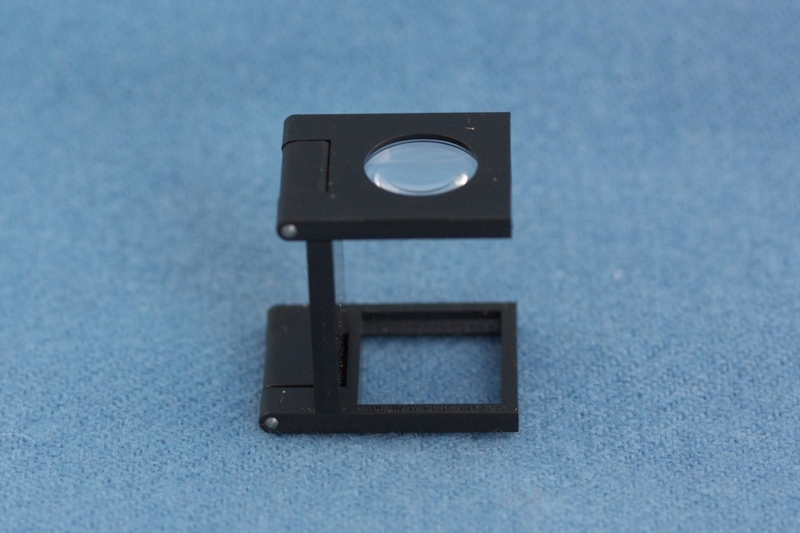 The counter is made in Germany by Eschenbach Optik.